Black Spinel is a very sophisticated stone. These classy and versatile gems are bezel set in sterling silver. No two gemstones are alike. 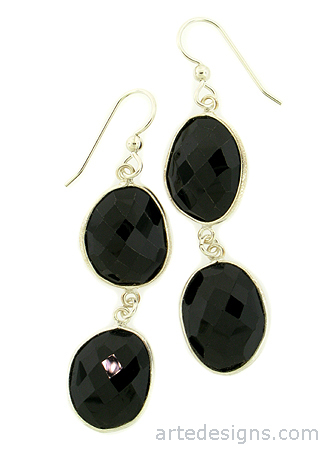 Black Spinel is believed to protect the wearer from harm, help resolve differences, and help relieve sadness. Approximately 2 inches long. Sterling silver fishhook wires.